Raking is one of the best ways to welcome in spring for your lawn. If you’ve already raked in the fall to clean up leaves and debris, you may wonder if it’s overkill to rake again in the spring. But during the winter, grass blades that die off can become thatch, so the fall workup won’t always prevent your grass from building up grass stems, roots and clippings that prevent water from penetrating to the roots. Although some people prefer to use leaf blowers to remove debris, leaves and dead grass, blowing can’t replacing scratching the grass surface. A raked lawn has several benefits: the grass grows sooner. 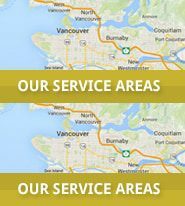 By raking, you can also take note of problem areas that need attention. Many people start the growing season right after raking by adding fresh grass seed to their lawns. This overseeding works best when the seeds reach the ground. Sometimes seeds can sprout within the dead grass layer, called the thatch layer, but those plants are weak and usually die. 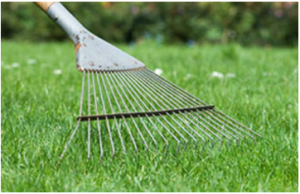 If you plan to aerate your lawn, or have holes punched into it to improve the soil, rake first. Thick thatch layers make aeration less effective and there is little risk that reducing thatch before aeration can harm the lawn. Dethatch several days before aeration to let grass plants recover. Follow these tips and your lawn will immediately look greener and healthier! Wait for a dry spell when the soil is dry but the grass is NOT brittle. Power rake when the soil is dry but the grass is not brittle. Wet soil will not hold live grass plants well, and more will get pulled out or torn during the raking than when the soil is drier. If you rake when the grass is very wet, you will pull out or tear healthy grass. Choose an industrial-steel thatching rake. A light, 22-tine rake is best for thatch. A plastic fan-style rake can be used for lighter jobs. Make sure the tines are round. Start at one corner of your lawn and move in one steady direction. Take breaks to avoid straining your back and shoulder muscles and joints. Use the rake to gather debris from the lawn such as small twigs and fallen leaves. Rake under trees, shrubs and other plants to dislodge stuck leaves and twigs. Apply a second raking after all the debris is gone. This time, concentrate on clumps of grass. Dispose of your lawn debris in your yard trimming bin. Rake a thin layer of soil over top your lawn to help decompose thatch.